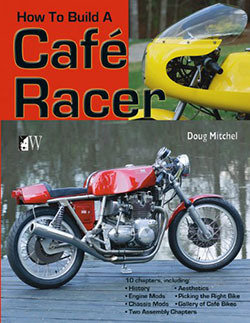 I’ve selected 8 cafe racer books to inspire, both for builders as dreamers. As a style of custom motorcycle, the Café Racer has enjoyed an amazing resurgence in recent years. As part of our “creative generation” and the need the distinguish ourselves, the custom motorcycle has been enthusiastically embraced all over the world. But the first wave of bikers to stretch out across long tanks to low bars were the rockers of the 1950s and 60’s Great Britain. These, were the motorcycle riding, disenfranchised post-war youths, the real-life Johnnies, and Chinos. Rebels with a cause and that cause was to tear through England’s grimy streets leaving nothing behind but cigarette butts and the smell of burnt oil. A few weeks ago I’ve posted a list of general motorcycle books, now I’ve put together a list of cafe racer books that tell the story of the old days and are useful for inspiration when building your own cafe racer (or just for dreamers like me). 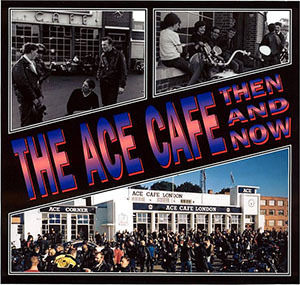 Along with the Busy Bee on the Watford Bypass and the Dugout in Golders Green, the Ace Café was one of the three main p it stops. Here you could find the original ton-up boys of the golden era of café racers. This book recalls the original Ace, a greasy spoon truck stop that turned into one of the most famous motorcycle hangouts in the world. The story of its rise, fall, and subsequent phoenix-like rise from the ashes is told in great detail. A fascinating read, backed-up with atmospheric photos from the various eras. This book has received a few damning reviews, mostly regarding the fact that it appears to deal primarily with café racers from an American perspective. But this is the exact reason why I’ve included it. 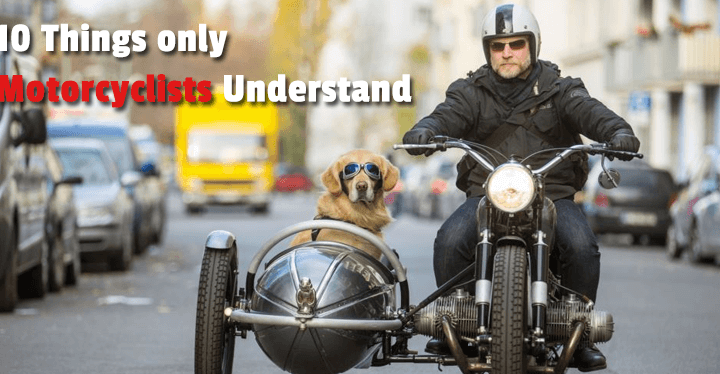 Mitchel is a journalist, photographer and motorcycle enthusiast with over 20 publications to his name, most of them motorcycle related. And due to the current popularity of café racers in the US, this book is probably enjoying a resurgence of sales. With the brief history lesson out of the way, the book takes on the various stages of converting a stock bike into an archetypal café racer. Chapters cover topics such as planning and choosing an appropriate donor bike, to modifications on shocks, tires and engines. A great, easy going book full of authentic first-hand tales simply told by the people of the time. 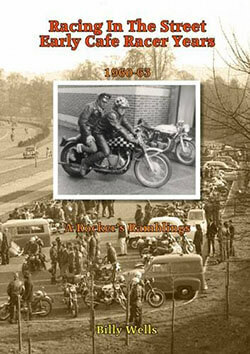 Set in the early 1960’s it recounts the lives of teenage bikers. Looking at the daring, dodgy, and sometimes dangerous exploits that made-up their daily life on two wheels. As lighthearted as it is, it can almost be viewed as a historical document that chronicles the whole Mods and Rockers era. Recounting life as it unfolds amongst the council estates and cafes of South London. Specifically dealing with the years 1960-6 it conveys a more innocent and unruly time. At this time a spotty 16-year-old could legally ride any of the powerful 650cc superbikes of the day – as long as the bike had an L plate on it of course. This is Uli Cloesen’s eighth motorcycle book and was influenced by his 2015 trip from New Zealand to the Isle of Man TT races. Roughly mapped out in alphabetical order, the book deals entirely with café racer styled British bikes. The book gripped me from the first page. Opening with AJS, the very first photograph was one of my all-time favorites, the archetypal factory built café racer, the AJS 7R. Interestingly, although the book covers a lot of the old hybrids such as the ubiquitous Triton it shows Cloesen’s love of the genre. The book includes such exotica as the Noriel (Norton framed Ariel square four). The year is 1964, the Great Train Robbers are on trial, the Beatles are at No1 and the average wage in Great Britain is £16 a week. And on the Easter weekend of the 30th March two groups meet on Clacton Beach and make history. 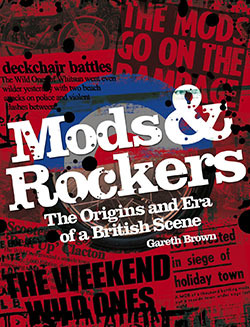 This is probably the only book that deals in depth with the volatile phenomenon that was the Mods and Rockers. The violence that ensued between the two factions gripped the nation with terror and the authorities could no longer ignore the nationwide tension between them. Mike Seate is a well-known name in the cafe racer scene. He is the founder of “Cafe Racer Magazine” and one of the producers of Discovery’s “Cafe Racer TV”. 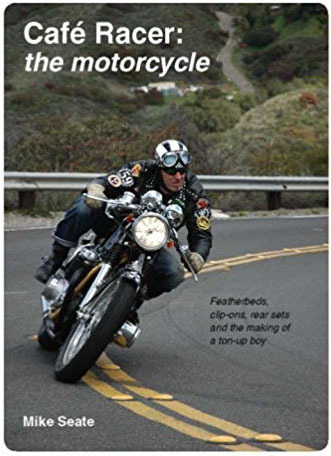 Considered to be one of the most thorough books that describes the cafe racer phenomenon that goes back in the early days of the rockers subculture in the 50s and 60s, towards the modern day cafe racer scene. 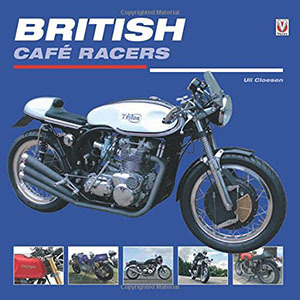 There are many base bikes for cafe racers, and the original cafe racers used to be built upon British machines, but with the rise of the high performing Japanese brands, the latter became a popular base for cafe racers. 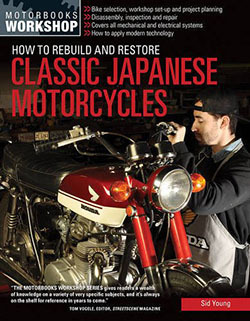 This book by Sid Young may look to be aimed at rebuilding and restoring, but if you’re using an older motorcycle, you need a lot of information on how to perform technical tasks to get the bike back on the road again. 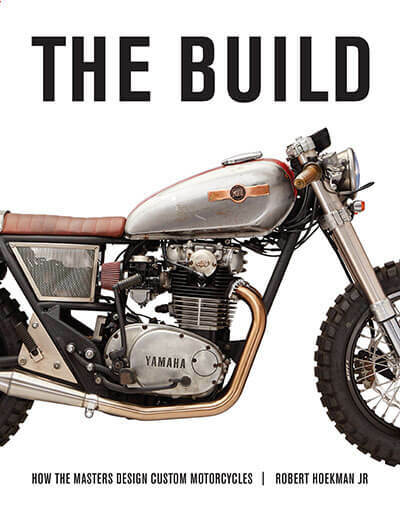 I’ve already listed this one in my general motorcycle book overview, but The Build by Robert Hoekman jr is an absolute must-have inspirational book for both builders and dreamers. Often used as eye-catching item on coffee tables, but in fact, it’s much, much more than that. 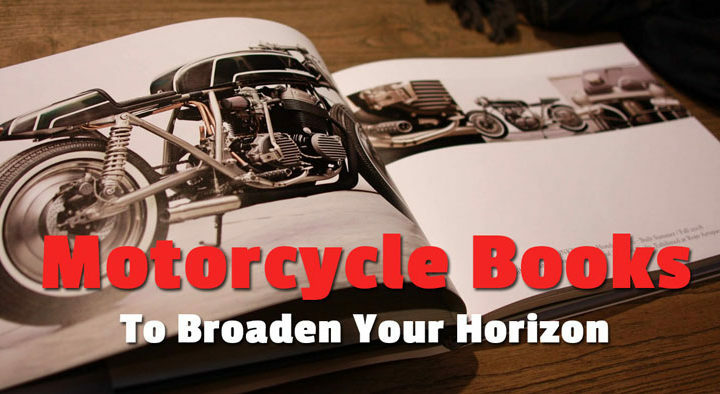 If you like to know more about the cafe racer scene, need inspiration on your (next) build or just want to give one an original gift, these are the cafe racer books to buy. Do you think that I’ve missed one here? Feel free to post your comments below! 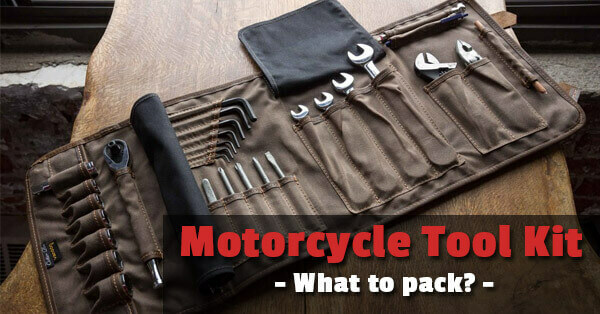 Motorcycle Tool Kit – What to Pack?